American Express Small Business Saturday is coming November 29th, 2014. First, you have to register each American Express card you have in order to take advantage of the offer. Do this now because registration will fill up before the 29th. Once registered, each American Express card can receive a $10 statement credit for up to 3 in-store transactions of $10 or more at qualified small businesses on November 29th. That's a total of $30 per card. Keep in mind that each American Express card can and needs to be registered. This is where this can potentially be quite a bonanza. Authorized user cards qualify. And certain prepaid cards (like Serve and Bluebird) qualify. I just registered 10 cards so I'm positioned to spend (and receive statement credits for) $300. Once you've got your cards registered, search for qualified retailers near you. Not all wine retailers are small businesses! 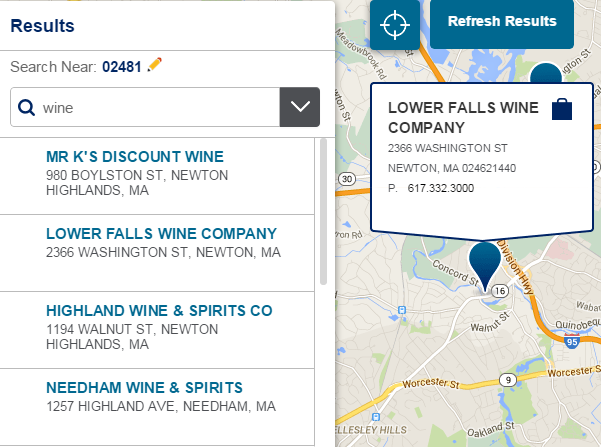 Wine retailers: This is where you come in! The way this offer is set it up conjures up images of families strolling down main street visiting one little shop after another, spending $50-$100 or more at each with their precious American Express card. And earning $10 statement credits for each of these larger purchases. But that's not the best way to play it. What I'd like to do is spend all of the money at a single retailer that I really like rather than driving all over town. To do that I need retailers to make it easy. First, be willing to split a transactions across multiple cards. For example, if I bought $32.40 worth of wine I'd like to split it up into 2 $10 transactions and one $12.40 transaction, effectively paying just $2.40 for $32.40 worth of wine after statement credits. But even better than allowing split transactions is if a retailer sells $10 gift cards that can be combined on future orders. Set up a cash register or two just to process gift card sales. If a retailer I like is willing to do that (many are!) I'd drive straight there and swipe my 10 cards 3 times each for $300 worth of gift cards I could use on future transactions. And wouldn't it be nice if retailers offered some sales to coincide with this deal? Like for example having a bunch of wine for sale at exactly $10? With no tax in Massachusetts this could be a terrific way to optimize the deal. Note that the terms say the purchases need to be in-store (not online). Consumers: Where/how are you shopping on the 29th? Retailers: What are you doing to make it easy for consumers to shop with you this Small Business Saturday?